"A few years ago, I found myself exhausted and isolated, my soul and body sick. I was tired of being tired, burned out on busy. And, it seemed almost everyone I talked with was in the same boat: longing for connection, meaning, depth, but settling for busy. I am a wife, mother, daughter, sister, friend, neighbor, writer, and I know all too well that settling feeling. But over the course of the last few years, I’ve learned a way to live, marked by grace, love, rest, and play. And it’s changing everything. 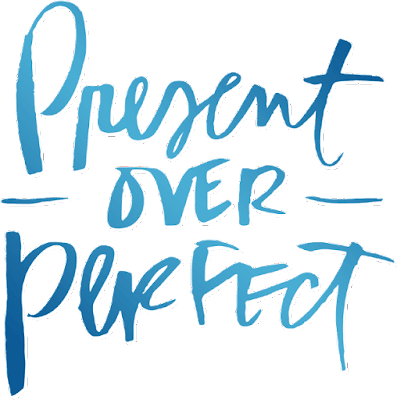 Present Over Perfect is an invitation to this journey that changed my life. I’ll walk this path with you, a path away from frantic pushing and proving, and toward your essential self, the one you were created to be before you began proving and earning for your worth. Written in Shauna’s warm and vulnerable style, this collection of essays focuses on the most important transformation in her life, and maybe yours too: leaving behind busyness and frantic living and rediscovering the person you were made to be. 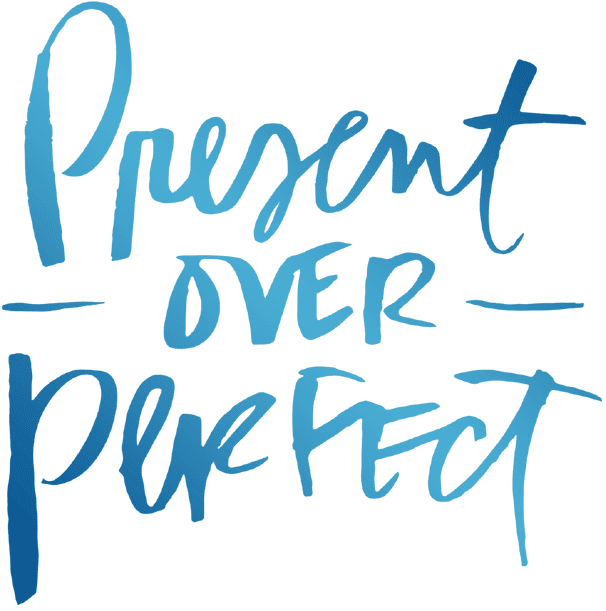 Present Over Perfect is a hand reaching out, pulling you free from the constant pressure to perform faster, push harder, and produce more, all while maintaining an exhausting image of perfection. 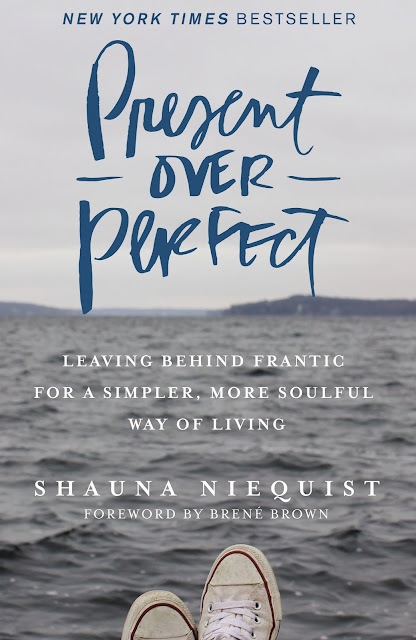 Shauna offers an honest account of what led her to begin this journey, and a compelling vision for an entirely new way to live: soaked in grace, rest, silence, simplicity, prayer, and connection with the people that matter most to us. In these pages, you’ll be invited to consider the landscape of your own life, and what it might look like to leave behind the pressure to be perfect and begin the life-changing practice of simply being present, in the middle of the mess and the ordinariness of life." "Present is living with your feet firmly grounded in reality, pale and uncertain as it may seem. Present is choosing to believe that your own life is worth investing deeply in, instead of waiting for some rare miracle or fairytale. Present means we understand that the here and now is sacred, sacramental, threaded through with divinity even in its plainness. Especially in its plainness." "This is a love story, like all my favorite stories. It's a story about letting yourself be loved, in all your imperfect, scarred, non-spectacular glory. And it's about the single most profound life change I've yet encountered. One Saturday, three years ago, I stared at the ceiling of a hotel room in Dallas, exhausted. I said to myself, 'If anyone else wants to live this life I've created for myself, they're more than welcome to try. But I'm done. I need a new way to live.'" I love the intent behind this book, the message that we are worthy and good enough and that we need to enjoy each moment of our life now instead of focusing on perfection or some point of happiness down the line. If this book helps someone to feel that worth about themselves, I am genuinely happy for them, but for me, this tone was cheesy and the book overall was not nearly as helpful, well-written, or thoughtful as Brene Brown's books. Shauna Niequist aims to help her audiences feel present in their lives--to truly engage in the moment--and hopes to help them see that happiness and fulfillment often get lost in the hustle and bustle of life and neverending to-do lists, goals, and plans for the future. In this way, it felt derivative of Eckhart Tolle's The Power of Now or similar to some of the messages within Brene Brown's books (Rising Strong, Braving the Wilderness, The Gifts of Imperfection, and Daring Greatly)--all of which I recommend. Though the message is solid, Niequist's advice, however, is ethereal, impractical, and not helpful. She enjoys her life the most when she spends weeks at a time renting a cabin on a lake in a quaint, quiet town. I'm sure many people would also feel wonderful about their lives if they were able to afford such luxuries and time away to reflect, but most cannot. Some of her suggestions include throwing candy and picturing love as a red heart shape. The book would have improved if Niequist spent less time projecting onto her audience with use of "you" and "we" as if she can speak for everyone, and instead focused her writing on providing more thoughtful and plentiful first-person "I" experiences and stories to share. After finishing the book book, I felt that I didn't know much about the author personally aside from her life on vacation. In some places in the narrative, audiences learn more about what she is eating than how she was purportedly changed her life. One of my friends reviewed this book and wrote that maybe her expectations as a reader were too high; the same might be said of my own experience reading this book. I only recently discovered Brene Brown and when I saw that she wrote the forward, I assumed this book would be as good as if not better than Brown's. Consequently, I was somewhat disappointed. Copyright 2015. Powered by Blogger.